Self-Hosted vs Hosted Click Tracking Software, What is Better For You? A click tracker is a software tool that helps you to manage click destinations and collect statistics about the clicks. It helps you to determine when a click order has been fulfilled and the quality of clicks. Most click trackers contain click trackers, click rotators and pixel tracking capabilities. If you are an email marketer or sell solo ads, you need to use a click tracker to manage your traffic and determine what is profitable and what is not. There are two types of click trackers available. You can purchase a script and install it on your server or you can subscribe to a hosted click tracker. Both types of click trackers provide basically the same services. Just one is self-hosted and the other is hosted. What type is better for you? Hosted or self-hosted? Let’s explore the benefits and disadvantages of each type. Self-hosted is usually less expensive over time if you have a small or medium size list. You can host the click tracker script on the same hosting account you are already using for your websites. Once you make the initial purchase of a self-hosted script you don’t have to pay monthly subscription fees. A self-hosted click tracker script can be customized to meet your exact needs. You just hire a programmer to make any changes or modifications to the script you purchase that you want. You can initially install a self-hosted click tracker on a small hosting account. You can then move it to a larger hosting account as your list and needs grow. A self-hosted click tracker can run slow or even timeout if it is being used on a shared server. Bad neighbors and low resource limits can cause your self-hosted click tracker to not work correctly. A self-hosted click tracker can be more expensive if your list is large. The larger the list, the more powerful of server you need. So don’t forget to factor in the monthly cost of hosting the click tracker script. A self-hosted click tracker script must be installed. If you are not familiar with installing complicated scripts, you will need to pay someone to install it for you. When a self-hosted script releases a bug or feature update, you will need to install the update. This can be difficult if you are not familiar with script installation. You may have to pay someone to install any updates for you. With a hosted click tracker there is no need to pay for an expensive server regardless of the size of your lists. Since you do not need to purchase a hosted click tracker, there is no large upfront cost. Hosted click trackers are already installed. So you get to skip the installation process. Hosted click trackers are automatically updated for you. No need to track updates. Hosted click trackers do have an ongoing monthly fee. If your list is small, this could be a disadvantage. One major concern is that the company providing the hosted click tracker service could go out of business in a blink of an eye. This could leave you scrambling and losing money. With a hosted click tracker, you are at the peril of the company providing the hosted service. They could claim you violated their TOS and shut your account off without any notice. Now that you know some of the advantages and disadvantages of self-hosted and hosted click trackers, you need to weigh the benefits and disadvantages of each. What fits your needs better? Hosted or self-hosted? The end choice is yours. There are several popular self-hosted and hosted click trackers currently on the market. Let’s look at what is available next. For a very basic entry level click tracker, check out My Click Boss at the following link. It’s available in both hosted and self-hosted forms. 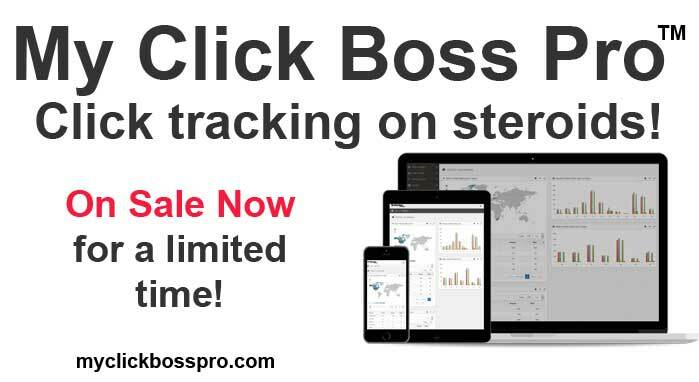 My click Boss Pro is a full featured click tracker that is extremely popular. This click tracker service is popular with solo ad sellers. Check it out at the following link. It’s available in both hosted and self-hosted forms. ClickMagick is another popular “hosted only” click tracker service. 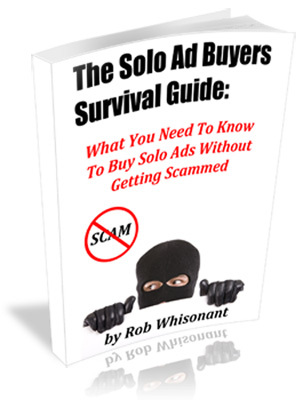 It’s more aimed at the CPA crowd but can also be used for email marketing and selling solo ads. You can check it out at the following link. Now that you know the advantages and disadvantages of self-hosted and hosted click trackers, check out the recommended ones above and see what fits your particular needs and budget.